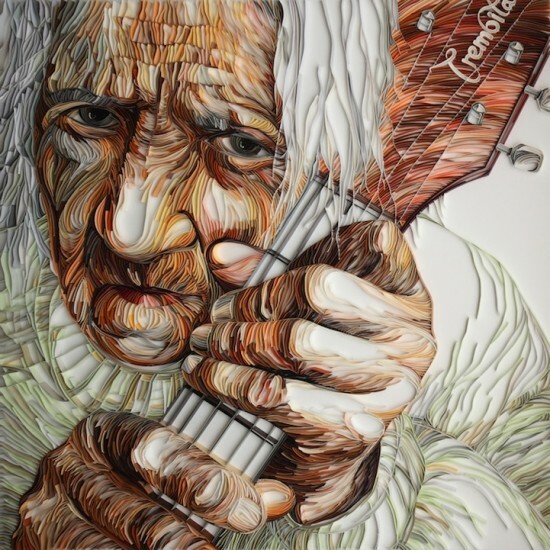 You are here: Home / All Posts / The Fantastic Paper Art of Yulia Brodskaya! First off, I’d like to announce that Give Us Art! is back up and running! The challenges and issues of real life have been resolved and I can get back to my pursuit of Art in the modern day. There will be upcoming changes to both the formatting and to postings, but i’ll get more into those at a later date. For today, enjoy the art! And welcome back to Give Us Art! 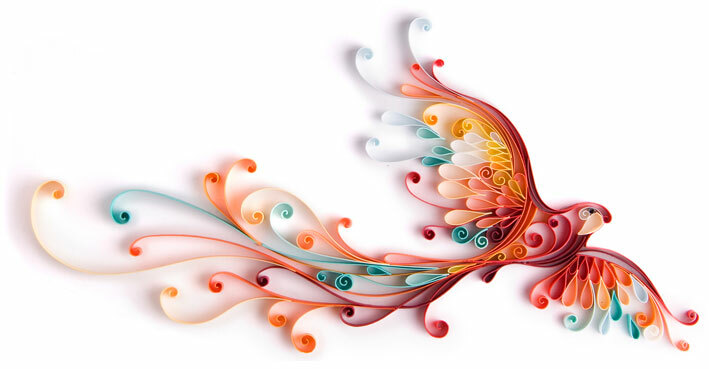 Artist Yulia Brodskaya has mastered the art of quilling. I think that is on display in the unbelievable work of art above. Here is what Yulia herself has to say about this work, a first in her new series. This artwork is the first piece in the series of works which I consider a declaration of love to the material and the technique. 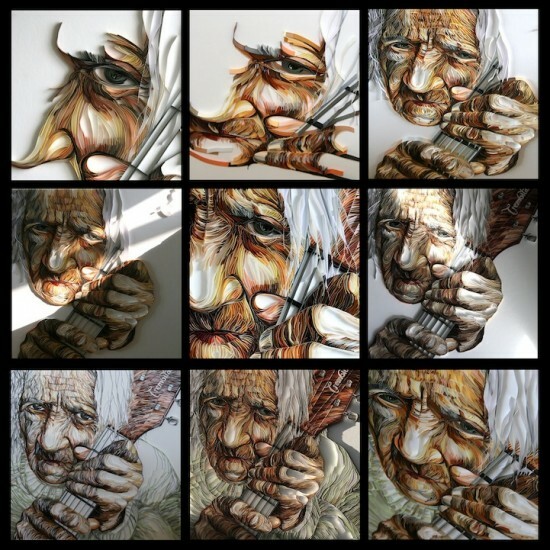 It is also an attempt to raise a profile of this paper craft, which has been previously regarded with some disdain, and to bring this type of artwork on a new level in terms of its ability to convey meaning and emotions. Work in progress. Art by Yulia-Brodskaya. All rights reserved. 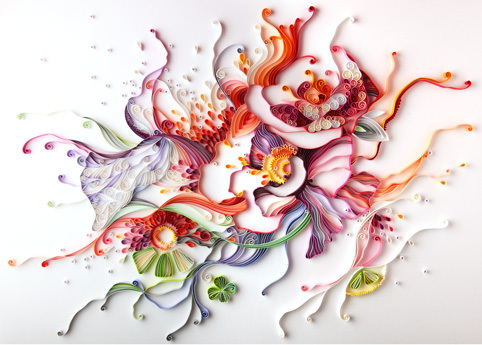 Initially, I was concerned about the limitations of the quilling technique and the material from which the work is constructed – paper & card – as it very much dictates what can and cannot be said within the boundaries of the chosen medium. However, this material limitation turned out to be a strength for me: there is the potential to contain thoughts and ideas in unique ways so that the medium can become a significant part of the message. Thus, after working with paper quilling for over three years I am at a point where I don’t feel constrained by the technical challenges of the medium; I’m eager to keep experimenting, and this piece is just a beginning. Here is a few more pieces of her work. Design for Google Chrome Theme. 2009. Art by Yulia Brodskaya. All rights reserved. Firmenich project (Scent). 2009. Art by Yulia Brodskaya. All rights reserved. So, for your incredible time, effort, skill and patience Give Us Art! salutes you Yulia Brodskaya!